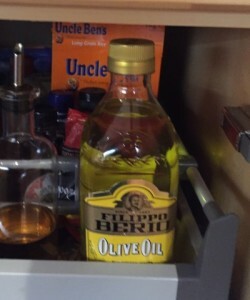 Here is the cupboard shelf where we keep the olive oil, with the old and new bottles. 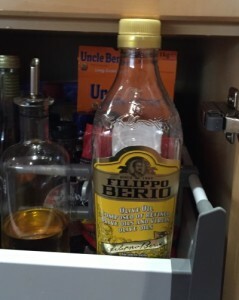 I had to decant the oil so that I could put it away. This is a solution for now, but as the bottle is actually plastic and not glass, I don’t know how long it will last. It is not a permanent fix. 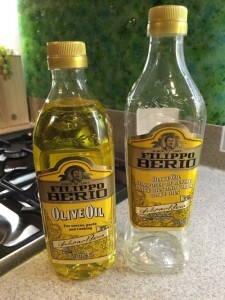 Looks like we’ll have to finally make the switch to Napolina.